When it comes to creating a solid foundation for your house, concrete spread footings and strip footings can’t compete with helical piles’ technological superiority and ease of installation! GoliathTech screw piles are the industry’s preferred supports, particularly in soft or unstable soil conditions and in areas prone to flooding and bogginess. 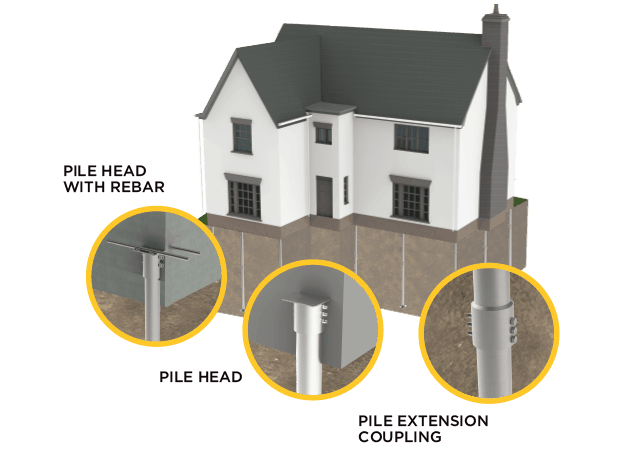 Our helical piles reach deep into stable soil to support your house, ensuring that the structure will remain secure over time while drastically reducing the risk of wall cracking. GoliathTech has a solution for any soil or environmental condition to support even the heaviest of loads. Compared to concrete, our helical pile support system will save you thousands of dollars!